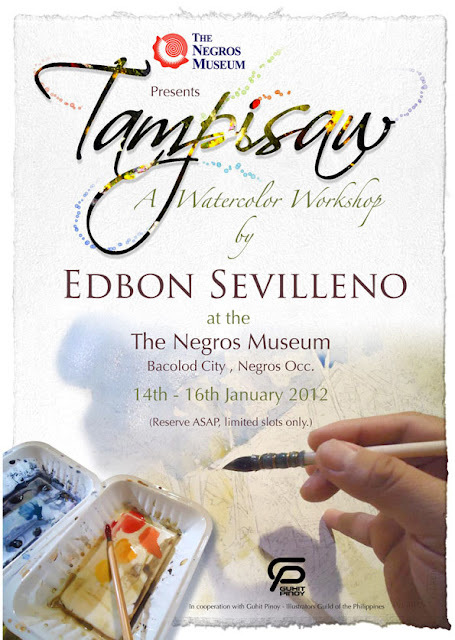 Weekend Workshops at the Museum (WWM) of the Negros Museum is presenting “TAMPISAW”, a special visual-arts workshop on Watercolor Painting with Riyadh-based Negrense artist Edbon Sevilleno this coming January 14-16, 2012 at the PHINMA Main Gallery. TAMPISAW is a Hiligaynon word which means “to frolic” or “playfully wade in the water” which aptly describes this 3-day workshop on Watercolor Painting is open to all watercolor enthusiasts. The first 2 days will be the workshop proper and an open forum. 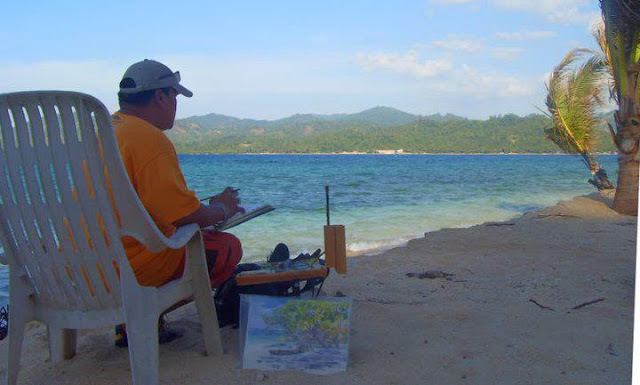 The last day will be dedicated to plein air or open air painting together with invited veteran artists of Negros. 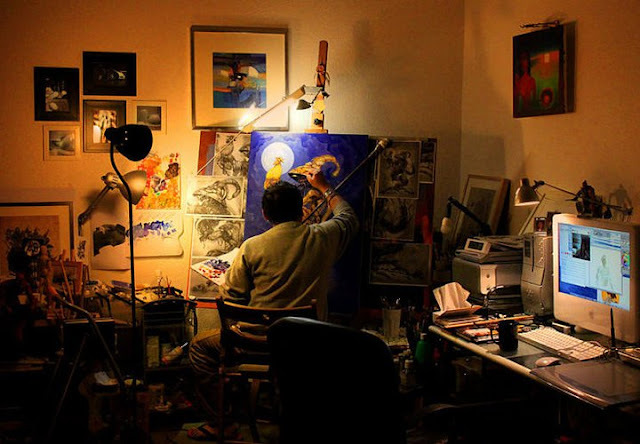 Sevilleno will be sharing techniques he learned and discovered throughout his romance with the medium which he has been using for more than 25 years. Sevilleno is an advertising executive for 20 years now in the Middle East market. He studied Fine Arts at La Consolacion College – Bacolod and has served as ARFIEN President during his student years. 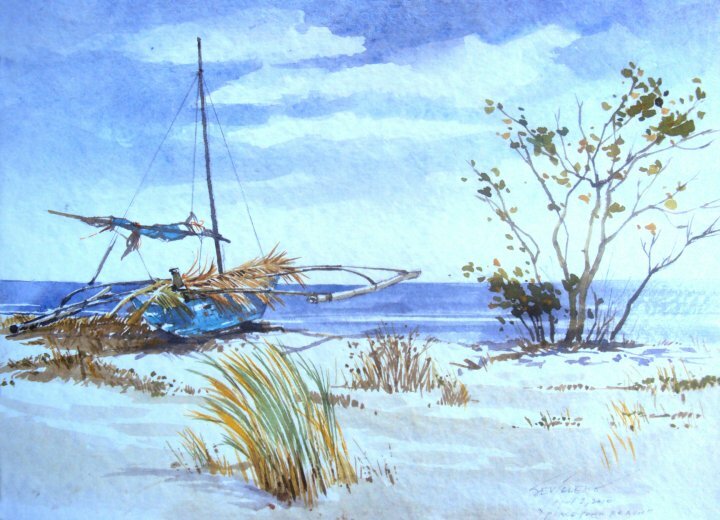 A prolific visual artist, whose versatile talent made him acquainted with almost all the mediums in painting, and of course, watercolor as his medium of choice. 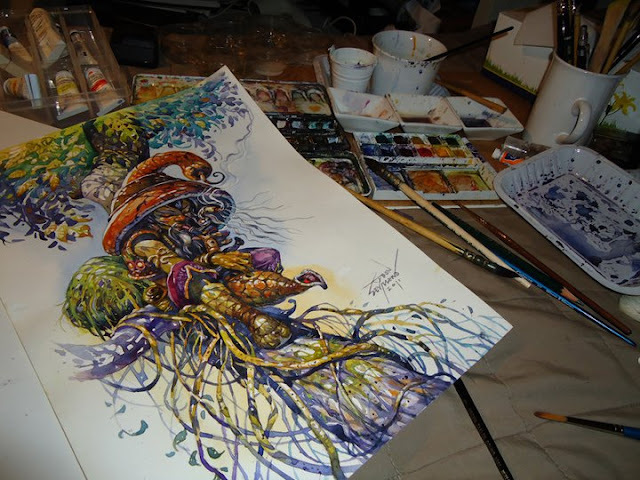 He would like to emphasize the versatility of watercolor that is handy that one can apply it on fine arts and applied arts such Advertising, Storyboards and Book Illustrations as well. He has done 8 one-man shows and has joined countless group exhibits locally and abroad. He has worked as a book illustrator and comic strip artist since the early 80s, and until today he is doing graphic novels for United States and United Kingdom market. He spearheaded GUHIT PINOY, a group of OFW illustrators based in different countries like Kingdom of Saudi Arabia, United Arab Emirates, USA, China and in the Philippines. 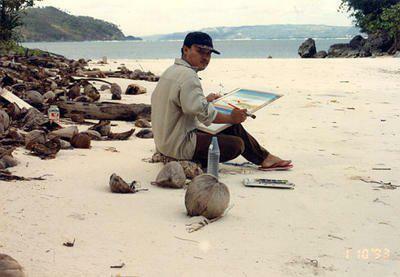 He is also one of the artists who organized Gamefowl Art of Negros naming the exhibit ‘BANGIS’ (Bacolod Negros Gamefowl Artists) which brought more than 60 artworks by 25 different Negrense Artists to the 1st World Gamefowl Expo last January 2011. For this workshop, the Negros Museum is partnering with local artists to bring about substantial continuous learning programs such as this workshop to involve the artists and the community and to facilitate the transfer of knowledge of techniques and method in this particular medium . TAMPISAW: A Watercolor Workshop will not be for beginners and participants are expected provide for their own materials, considering they have been doing watercolor painting for awhile.